Oldest Panigale Riders show yourselves and share your experiences, wisdom and aspirations here. I"m 58 and loving every mile. Will be tracking this year also. Track is by far the safest place to wring your Panigale out, I still haven't had mine down to Thunder Hill yet. I'm still canyon racing like it's 1974 because of all the wide open deserted mountain roads we have around here, I just don't take a hit as well as I used to, I'm 62 and still out there acting like a knucklehead. I am 78 years young this year and have owned and ridden my "R" since the launch date 2013. Not riding to it's limit mind you as I road ride only, but it gets a good tweek on a quiet Sunday morning. I owned a 888 SP5 for 19 years previously and after some heavy personalizing regard it as the best Ducati ever built, "that fantastic noise"!!!! I’m 79. Riding since I was 15. Raced a Norton in AFM (& Trophied) in the “70’s. Built a Rickman/Kawasaki. Then started buying Ducati 916’s: a Strada, an SP, an SPS w/Ferracci-built 1026 all for canyon and track. Stepped off the Ducati wheel to get a Suzuki GSXR1000 set-up for track. I retired early from schoolteaching to ride every track on the West Coast, including Reno Fernley. Came back from the Dark Side for a Panigale R in 2013. I loved it on Thunderhill. ( couldn’t get back into the 1:50’s anymore, tho). Now I’ve settled down for Bay Area road riding. Still loving those twisties and looking forward to more. I love working on my Ducatis, adding and subtracting parts. Not the oldest, but just turned 60. Had sports bikes since I was 17. 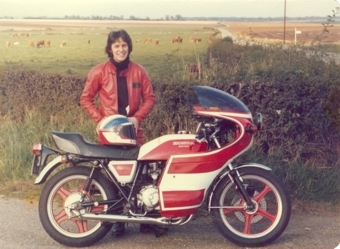 This was me in 1977 in England, a few miles from Cadwell Park with my Honda CB400F, customized to my liking (rattle can paint job by me). Moved to the USA in 1982 and bought a GPZ550, had that for 11 years, although I didn't ride it for about 6 years. 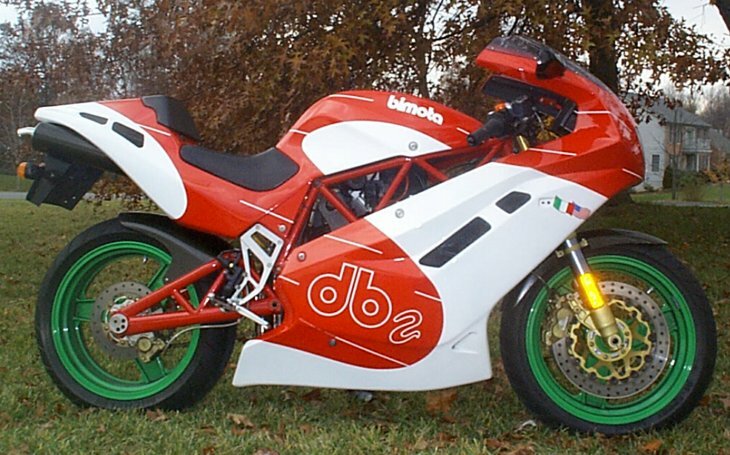 Got back into street riding with the purchase of a Bimota Db2 in 1994. Started doing track days in 1995 with the Ducati Owners Club of Canada. Helped start the Mid Atlantic Ducati Owners Club while living in the Wash DC area. Got my first full Ducati, a 2000 996S, which was my dedicated track bike. Wife bought me a 2007 1098S for my 50th birthday, again used primarily as a dedicated track bike, but now used by my Son as his street bike. Me doing a RideSmart class on my 1098S, I come into the frame around 11 seconds. Having fun at Ducati Revs America at COTA on the 1098. The 1299S was a 60th birthday present a year earlier than my birthday. Again it's pretty. Following a friend on a 1199R at Cressen on my 1299. Makes me feel like a weak sauce when I complain about my knees. Absolutely agree, truly legends! I hope I am still riding the sharpest bikes as I approach and push through retirement. 64 years old. I ride at least as hard as ever, but always back off if any other vehicles around. I road raced in AMA Amateur class a few years in the early 80s. My advice is to not let other riders influence how hard you ride on the street. Being competitive myself that can be hard to do, but I can. Ride in your own comfort zone. Great story and great pics Chris.